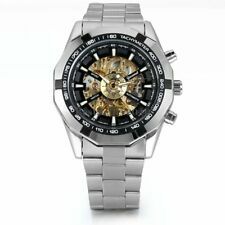 Description: Movement:Automatic Mechanical Band Color:Silver Case Color:Silver Case material:Metal Bezel material:Metal Band Material:Stainless Steel Material:Stainless Steel Weight:3.92z(140g) ​ Features: . Movement: Quartz Gender:for Men Display: Analog Style: Casual Case Material:Metal Band Material:Stailess Steel Weight:about107g Brand Unbranded Watch Shape Round Gender Men's Style Casual Features 12-Hour Dial Band Material Stainless Steel Age Group Adult Movement Quartz (Battery) UPC Does not apply Case Color Silver MPN Does Not Apply. Gift for Him! Ship From US! 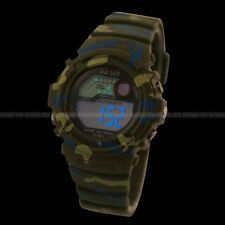 Condition :100% brand new Material: durable hard alloy, stainless steel and soft PU. Weight(kg):0.11 Waterproof:Just daily waterproof, not for swimming or diving Arabic Numerals Dial color: mainly brown Adopt dual quartz movements to display 2 time zones at the same time via the watch hands, to show the time, minute and second, suitable for overseas traveling. With Function of thermometer ,compass in the watch are just for decoration, without practical functions. Gift for Her! Fast Free Shipping! 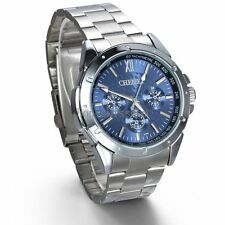 Description: Including one blue velvet gift bag Movement:Quartz Band Color:Silver Case Color:Silver Case material:Metal Bezel material:Metal Band Material:Stainless Steel Material:Stainless Steel&Alloy ​ Features: . Android 4.3 and IOS 7.0 or above. Phone's Bluetooth is on and ensure the Bluetooth can be checkable. And ensure the watch's Bluetooth is also on and can be find. For Android, there is corresponding APP, it supports all functions. Color:Gold Movement:Quartz Case Material:Metal Strap/Bracelet Material:Stainless Steel Daily water resistance (not for showering and swimming). Weight:0.073Kg/2.61OZ Brand Unbranded Gender Men's Display Analog Band Material Stainless Steel Year of Manufacture Pre-1920 Movement Quartz : Battery UPC Does not apply MPN Does Not Apply. Stainless steel band watches have a modern style, which gives them a beautiful, sleek feel. They are constructed with scratch-resistant bands for added durability. Sterling silver band wristwatches have a fashionable style, which will add a chic touch to any wardrobe. They have lightweight builds, which make them even more comfortable to wear for any activity. 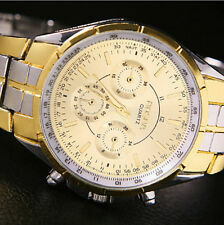 With their modern styles, stainless steel case wristwatches are great for upgrading your wardrobe. Built with scratch-resistant designs, they are less likely to get damaged by any accidental drops. With traditional styles, sterling silver case watches are versatile accessories that you can wear anywhere. Sterling silver is a precious material, enhancing the value of these timepieces and making them more upscale. Whether you prefer a watch with Roman numerals or Arabic numbers, analog wristwatches feature a variety of dials. Designed with functional and stylish displays, they will help you always arrive on time. 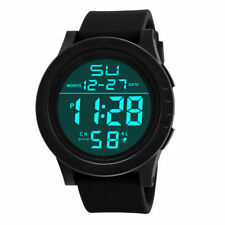 Digital watches are generally designed with backlighting, so you can easily read the time in poor lighting conditions. With numerous functions and features, you can find one that has precisely what you're looking for. 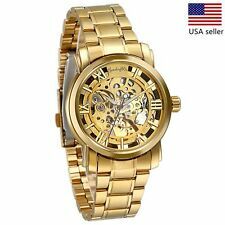 What are some of the highest selling Unbranded watches on ebay?